Multi-purpose: applicable for vehicle tires, bike tires, motorcycle tires and balls. Able To Inflate Bike Tires, Car Tires, Athletic Balls etc. Inflating tires is a breeze with this Shogun 12V Digital Air Compressor! Equipped with a digital pressure gauge which allows the pump to automatically shut off when desired pressure is reached. Great for inflating just about any type of tire or ball, this pump inflates things in minutes! 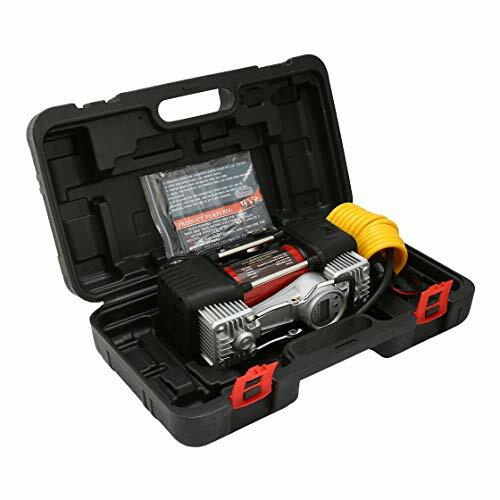 Light in weight and easy to transport this air pump is a must have accessory for summer caravan trips or off-roading adventures!